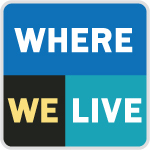 Leonard Fleck, Ph.D., Professor in the Center for Ethics and Humanities in the Life Sciences was recently interviewed on WNPR’s Where We Live to offer the ethical perspective on genomic research and the prospective options for personalized medicine. The topic came up as a recent deal was made by the State of Connecticut to give Jackson Laboratories funds to build a new genomic research facility on the campus of the University of Connecticut. Read more or listen to the story. This entry was posted in Archived News, Center News, Outreach. Bookmark the permalink.